We have featured some showstoppers in our Super Yacht of the Week series but REGINA takes some beating! 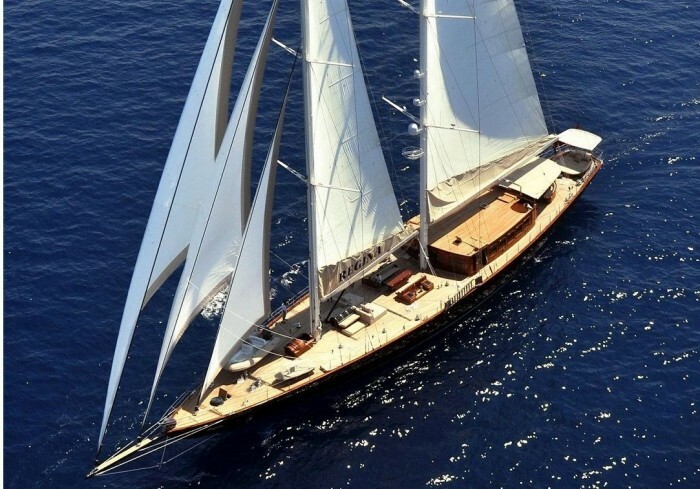 This 56m crewed sailing yacht was a Finalist in the 2012 World Superyacht Awards before gaining worldwide recognition when starring in James Bond’s SKYFALL. One of the most nostalgic yachts we have to offer is the stunning Feadship SULTANA. Launched in 1969, she underwent an extensive refit in 2012, giving her a more contemporary interior and exterior with state of the art high power sound system, videos and music controlled by Smartphone or tablets. She has state of the art gadgets on board that wouldn’t look out of place in a Bond movie, including tv screens hidden behind stylish mirrors, four luxury double cabins, wireless Internet where you can also look into the depth of the ocean via underwater cameras in bow and stern, or follow its navigation details. 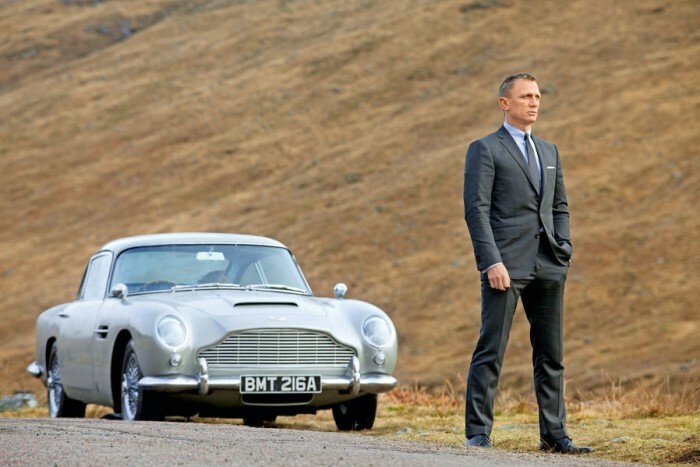 James Bond fever has hit the Boatbookings office this week with the exciting announcement of Spectre and the even more exciting Aston Martin DB10 set to accompany Daniel Craig in the latest addition to the thrilling movies. On this theme our super yacht of the week is a yacht not only fit to run alongside the DB10 but also perfect for housing the most menacing of Bond villains. DB9, the stunning luxury motor yacht and the original Palmer Johnson 170 is our super yacht of the week. Top Restaurant Guide Cruising from Nassau to the Exumas, Part I. Have you made your Thanksgiving plans? Are you looking to do something a little different next Spring Break but have yet to be inspired? The Bahamas could be the answer to all your questions; the islands are graced with phenomenal natural beauty, crystal clear waters and some of the most luxurious attractions in the world. Follow this simple guide to ensure that you attend the best restaurants when cruising from Nassau to the Exumas. 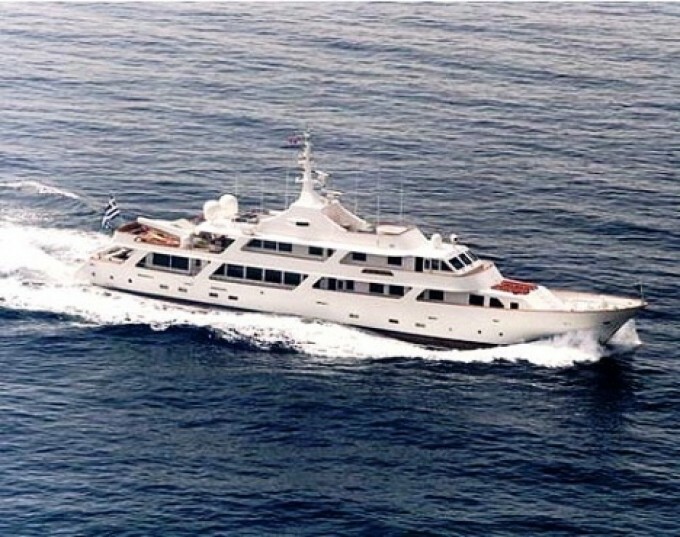 REGINA, Super Yacht of James Bond Fame Available in the Caribbean Winter 2014-15! Do you want a yacht fit for 007 himself? Following a highly successful East Med summer season, REGINA is moving to the Caribbean. It is the second consecutive year that REGINA will be cruising the likes of St Maarten and St Barths, and her crew is looking forward to pampering their guests just like in a James Bond movie! REGINA “starred” alongside Daniel Craig in Skyfall, the latest 007 James Bond film, and since then she has built an impressive and extremely loyal clientèle amongst the world jetset. Yachting has long been considered the pinnacle of decadence, luxury and wealth and Hollywood directors’ perception is no different. Only the most indulgent of characters, be they evil villains, Russian billionaires or eccentric stock brokers are shown on yachts in Hollywood blockbusters. As such, and befitting such characters, some of the world’s most striking and exclusive yachts have featured in cinemas in recent times. Nobody does cool quite like James Bond. He always drives the coolest cars with the most beautiful women. It is no surprise therefore that he is regularly seen aboard the most stunning of yachts. It is no surprise therefore that Sunseeker has become as much a part of the James Bond series as Aston Martin and the Vodka Martini, shaken not stirred. With Daniel Craig as the star, outrageous gadgets and obscene vehicles have been replaced with simple and refined luxury. The villain of Casino Royale, Le Chiffre is introduced to us aboard a stunning Predator 108 while in the Quantum of Solace, General Medrano cruises across the Caribbean Sea aboard a Sunseeker Superhawk 43, a classic example of a chic and elegant Sunseeker. In Skyfall, Daniel Craig and Berenice Marlohe are seen aboard the beautiful sailing yacht REGINA. 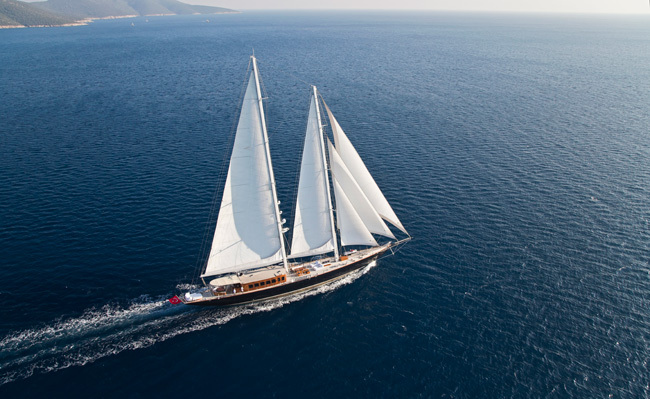 This classic sailing yacht, however is not restricted to Hollywood and is available for charter in Turkey. 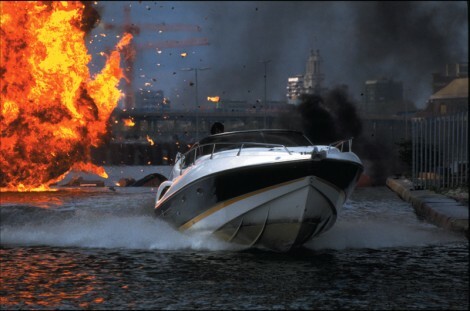 In Guy Ritchie’s RocknRolla, Russian billionaire Uri Omovich claims that, “There are only 2 days when you enjoy a boat. 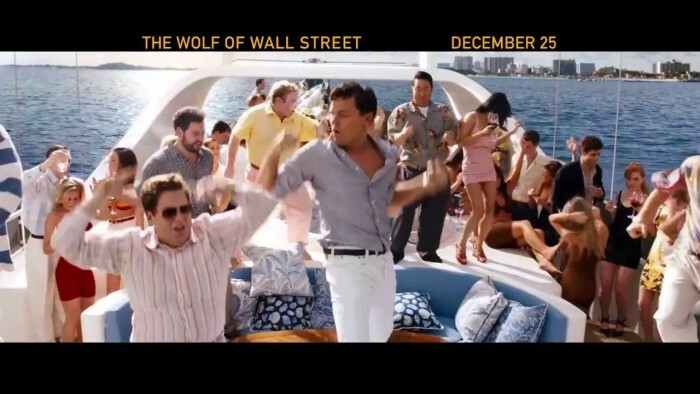 The day you buy it, and the day you sell it.” The Wolf of Wall Street, Jordan Belfort may well disagree. Leonardo di Caprio and co are featured partying hard and living the rock ‘n roll lifestyle aboard his beautiful 44.8m super yacht, LADY M (Naomi as she’s called in the film). White Knight, a classic displacement yacht, is a fine example of timeless luxury. Refitted in 2010, 8 years after Matt Damon was shot on her off the coast of Marseille in The Bourne Identity, she is a stunning yacht with a superb fly deck, complete with jacuzzi. With the Cannes Film Festival starting next week, and the summer just around the corner, now is the time to charter a yacht and live like a film star. For any enquiries, please contact the Boatbookings team. Alex Thomson, famed for being a solo round the world yachtsman, performs a daring feat on board his high-speed racing yacht called: HUGO BOSS. As the yacht is at a 90 degree angle, Alex Thomson climbs up the 30 metre high mast of his racing yacht and dives into the Ocean. Fancy chartering your own yacht? Come and check out the Boatbookings site here and look for your charter! Or get in contact with our Boatbookings team here! Cruising down the River Thames in London in a speedboat comes with extreme style and class. Be James Bond for the day on your own private charter, whilst speeding along the Thames. 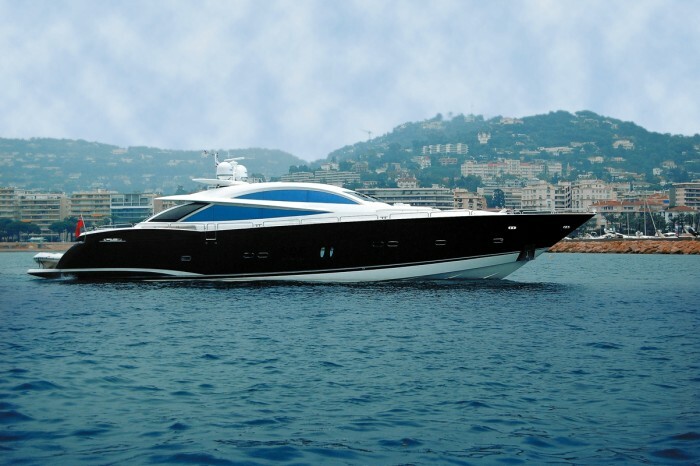 We can offer you SHAKEN NOT STIRRED, the Sunseeker Superhawk 34 which features in the Bond film The World is Not Enough. SHAKEN NOT STIRRED is driven by Cigar Girl in one of the longest pre-title sequences in the Bond series. This is the actual Sunseeker Superhawk which features in the chase along the Thames from MI6 building to the Millenium Dome, now more commonly known as the O2 Arena, passing many of the well-known sights that London has to offer along the river. She is available for you to charter for your own personal Bond experience from £1,900 per day. Fortunately for you, SHAKEN NOT STIRRED wasn’t blown up as shown in the film – the delights of special effects! She is a fantastic Sunseeker with one cabin, and is perfect for an unforgettable day out along the Thames to see the best views that London has to offer. A fan of Bond boats? Check out REGINA, a crewed Pruva sailing yacht, which featured in the most recent Bond film SKYFALL. At www.boatbookings.com,we organize luxury yacht charters all around the world with our highly qualified team that has intimate knowledge of the destinations and yachts that are available. We leave no stone unturned in matching not just the yacht and the destination to your requirements but also the crew, itineraries and all other subtle aspects that comes together to create a charter of a life time! Watch this space for the latest industry show releases, news and gossip in the yachting world. If you liked the content on this page and our previous posts, please become a fan and like our Facebook page to receive up to date information on our publications. Follow us on Twitter and Google Plus too.